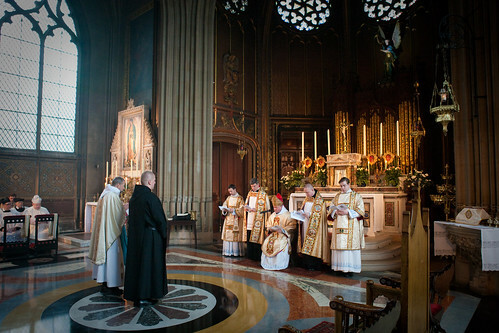 The vertical axis is well illustratedy by the solemn profession of Br Michael, Farnborough Abbey, Hampshire. Click on image to see it on Flickr. 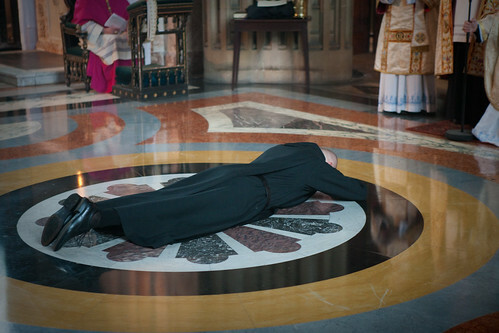 Here is a link to an image of Br Michael under the funeral pall. 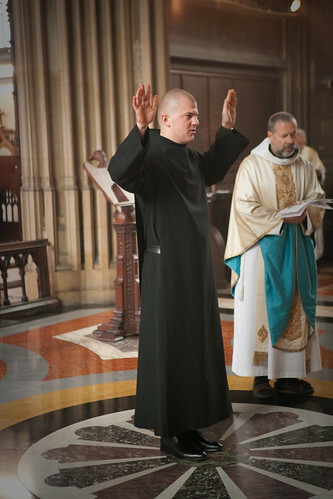 Here is a video of Br Michael standing on the same axis mundi, “pole of the earth”, to profess his first monastic vows. 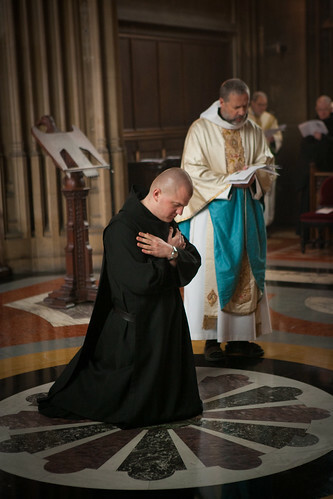 It is lovely that, after professing his vows, at 25′ he walks forward to be clothed in the habit of a professed monk; two distinct places express two distinct ritual actions. The vertical axis is also called by its Latin name axis mundi, “pole of the earth”, “axis of the world”.